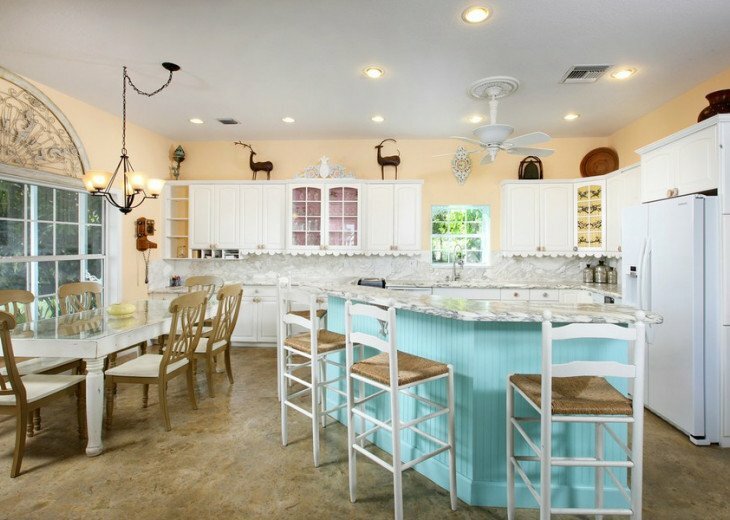 Ginger Bread House!!!! 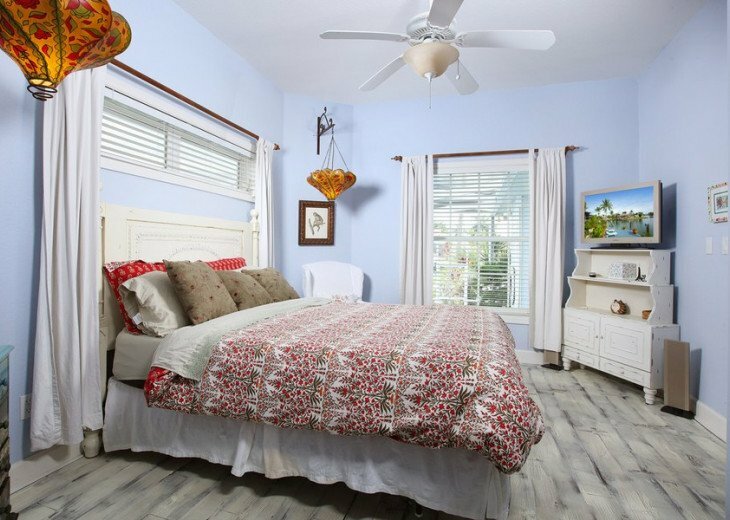 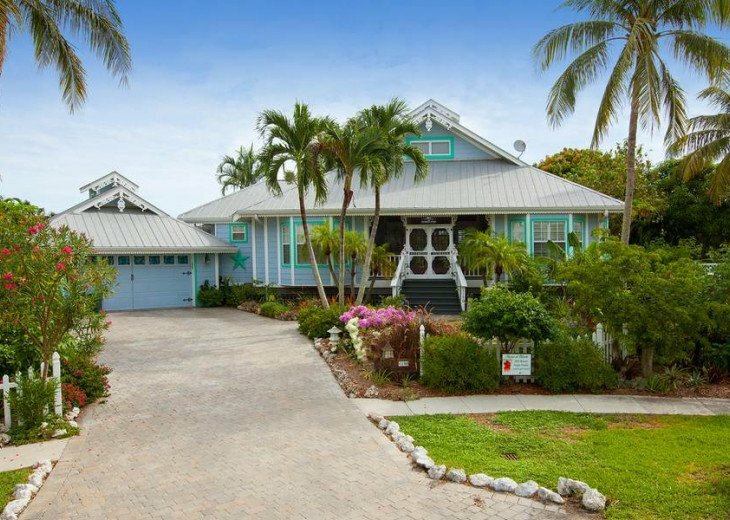 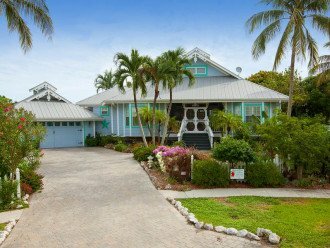 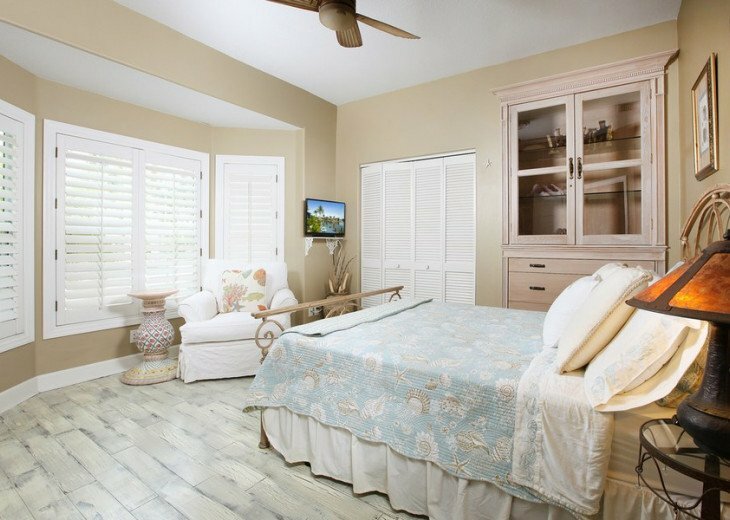 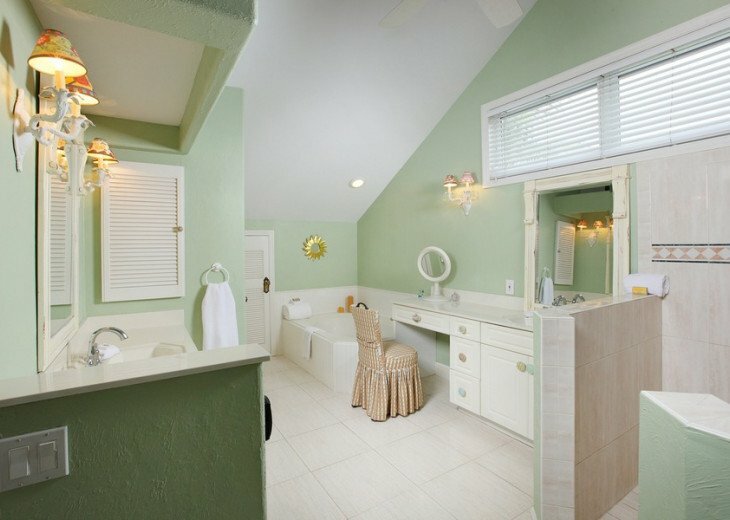 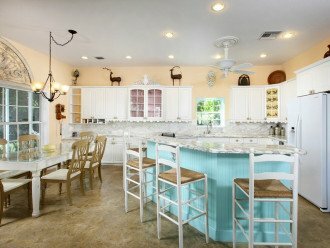 One of a kind Marco home that has a Key West feel as you walk through the front door. 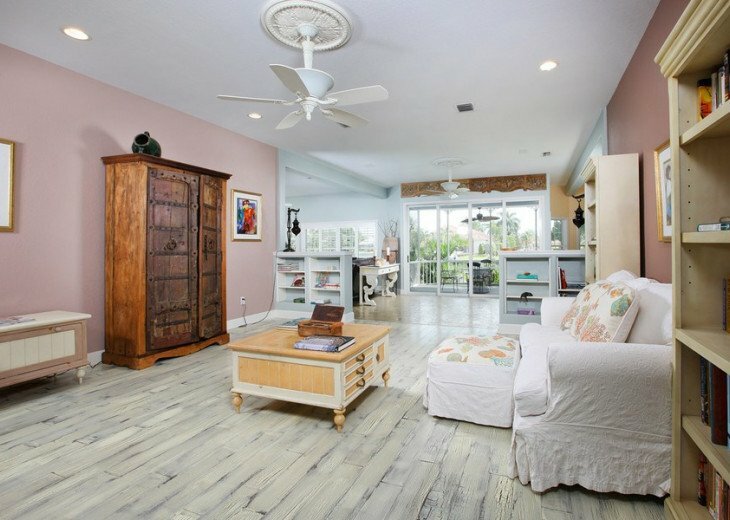 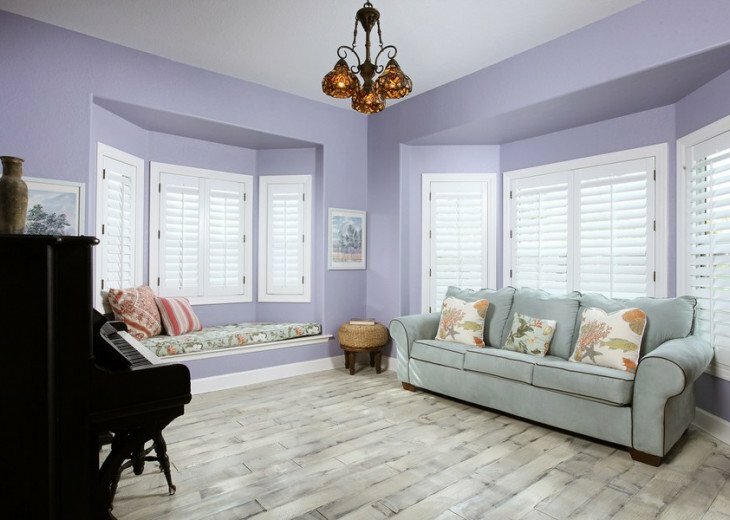 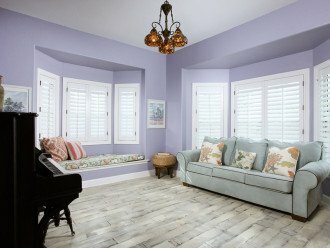 Inspired by the vibrant colors- from the cotton candy pink entry way, to the white washed wood flooring in the living area to the stained concrete floors in the kitchen. 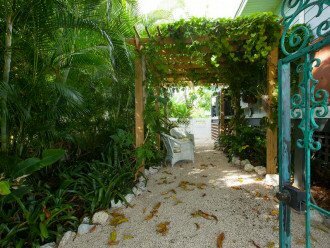 Gardens in the back of the home are like no other on Marco. 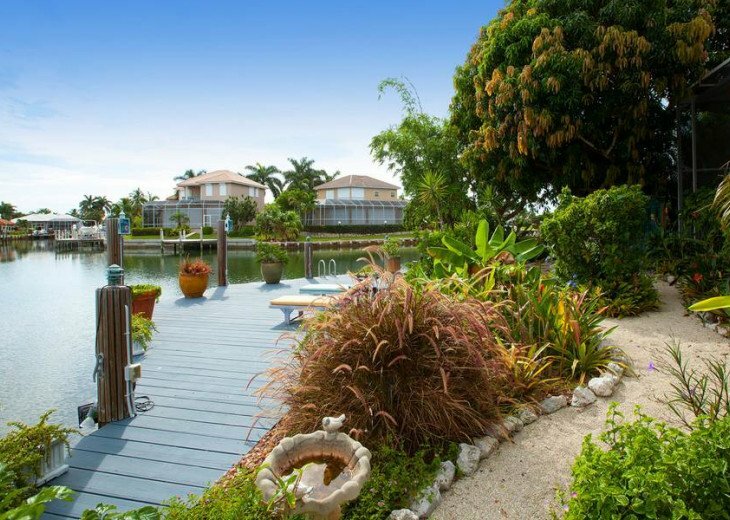 Full of lucious vegetation and all sorts of colorful flora make for a most relaxing vacation. 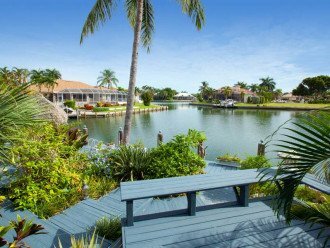 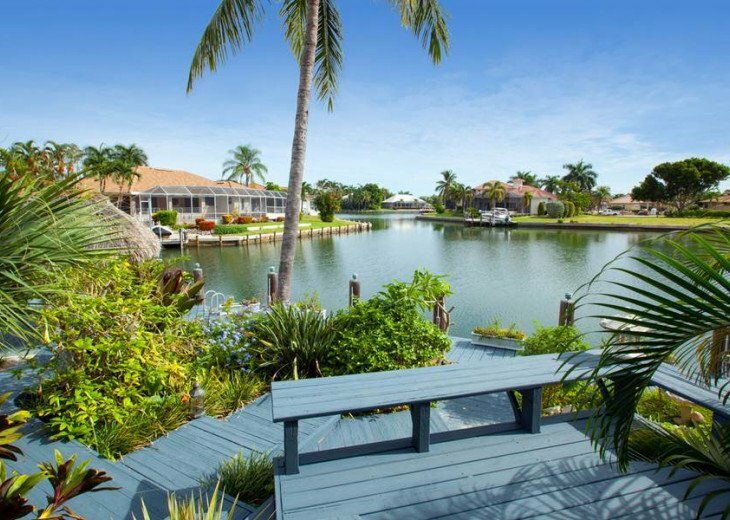 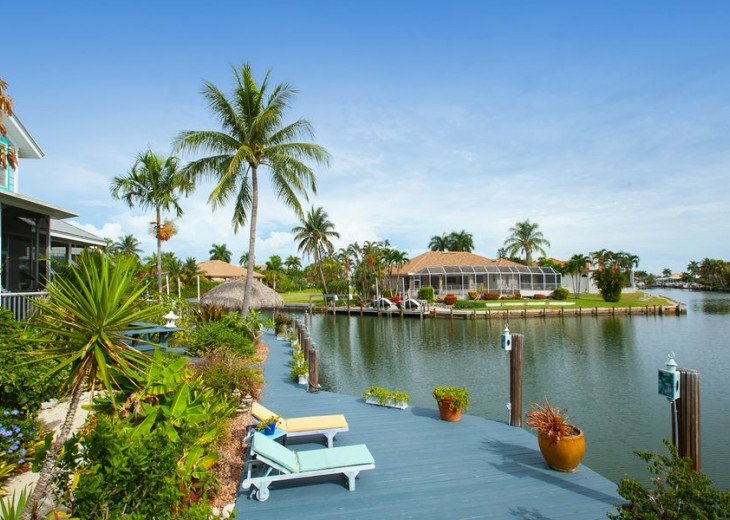 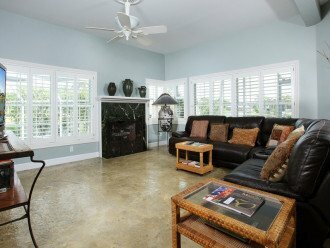 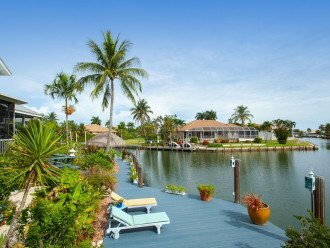 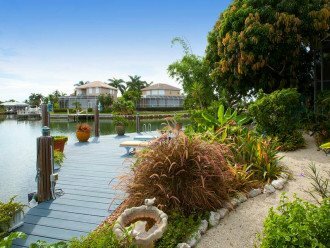 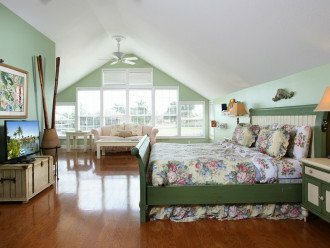 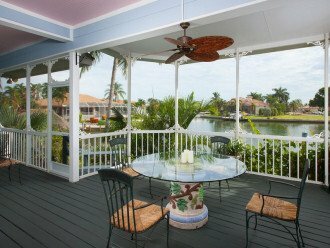 Wide water views, dock and lift, heated pool and a private out door shower. 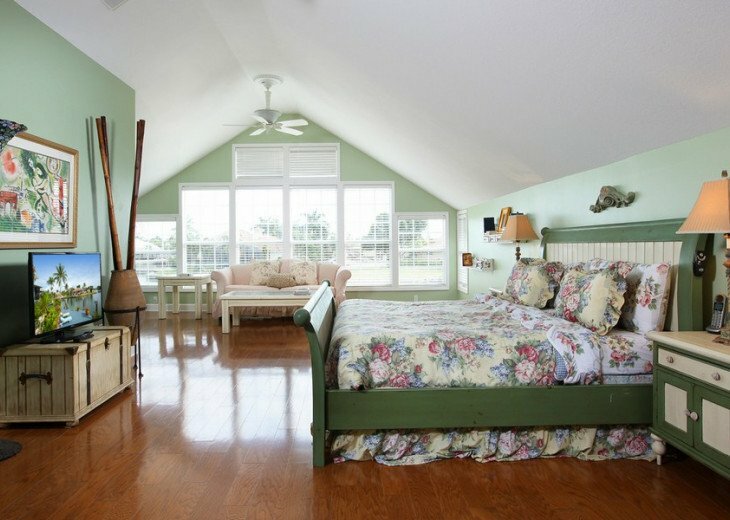 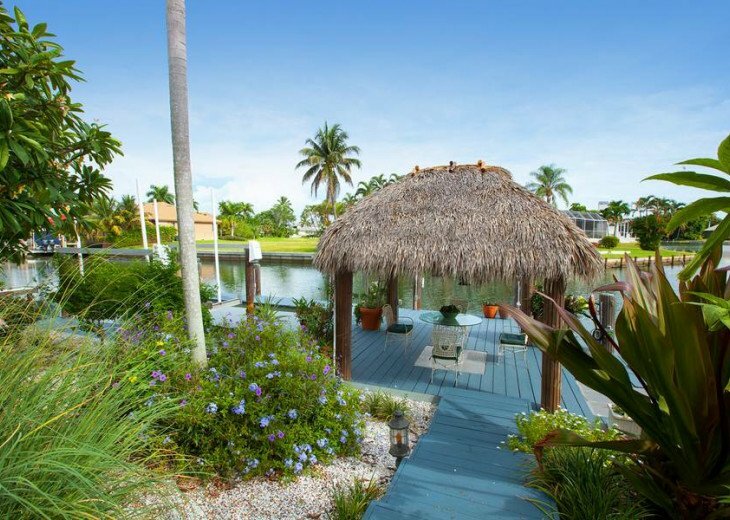 A Key West inspired chickee hut near the water's edge makes for a relaxing and inviting space. 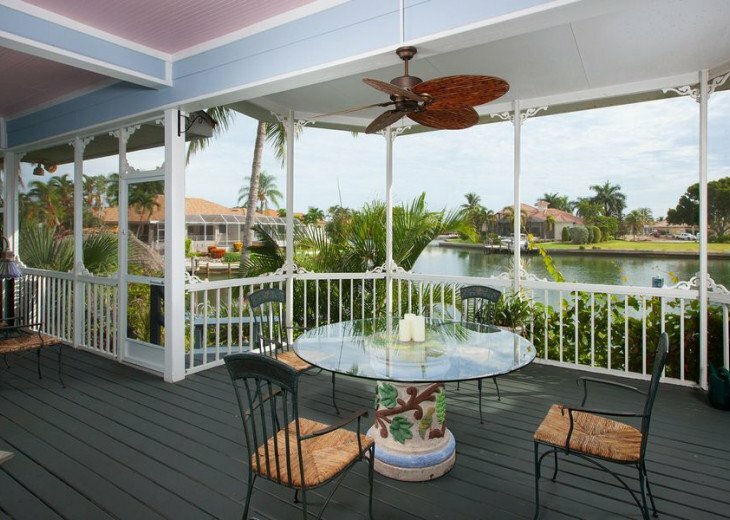 Great views of the water and the gardens as you walk through the front door and into the main room. A few steps further into the home and you come to the kitchen and family room creating a great room where the whole family can enjoy without feeling crowded. 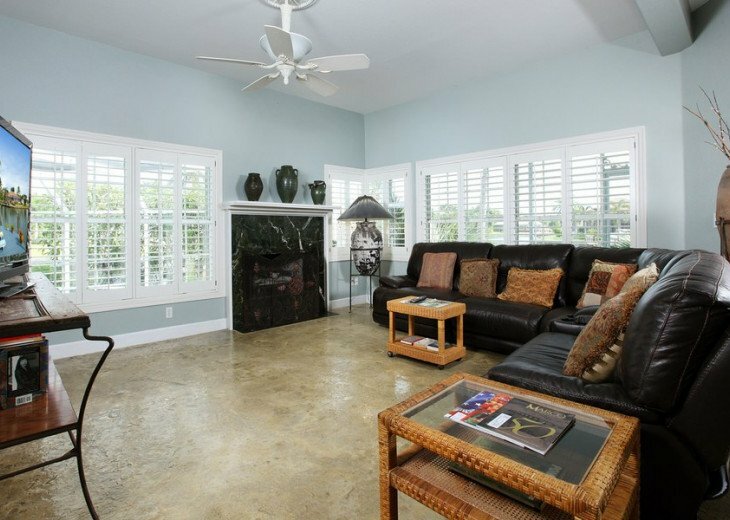 This property is also equipped with 3 bicycles and a stroller for your convenience. 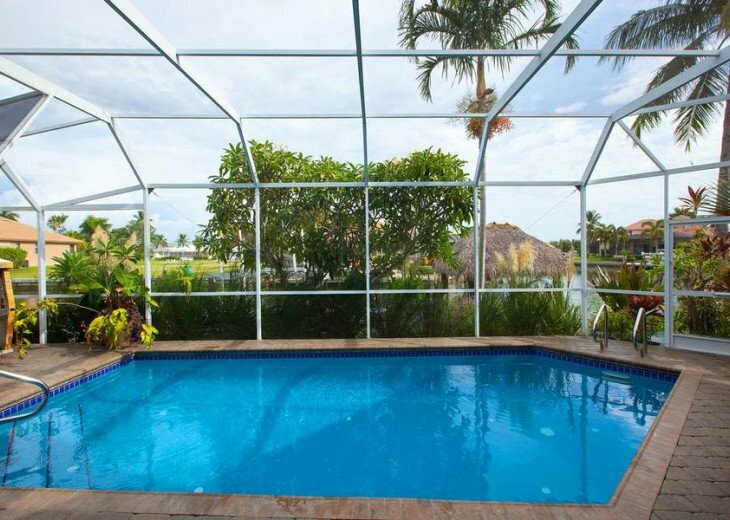 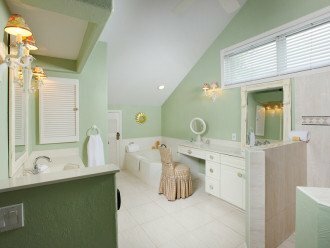 You will feel so relaxed after vacationing in this 4 bedroom 2 full bath and 2 half baths home away from home that you will want to come back again and again.